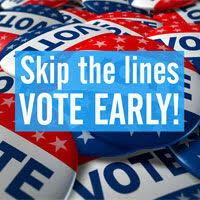 Early voting available now for March 21 special election! A special election is being held in all Cobb precincts for a Special Local Option Sales Tax for education purposes. Registered Cobb County voters can go to any advanced voting location. Please note that hours vary by location.